Nautic ehf. was founded as a company in 2002 with employees that today have between 30 to 45 years of successful work as Naval Architects and Consulting Engineers. Nautic is a small and versatile company, based in Reykjavik, that gains strength from an extended “family” of trusted subcontractors for added capacity as needed. Designing for a Specific Function. 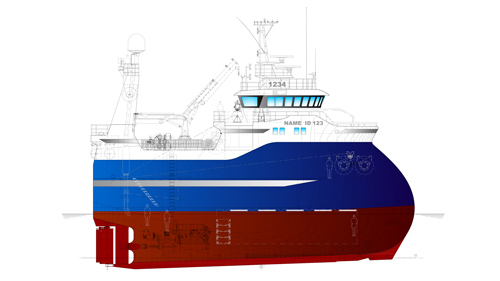 The bodylines of the fishing vessels ensure that capacities are sufficient for all the installations and deadweights required by the customer. 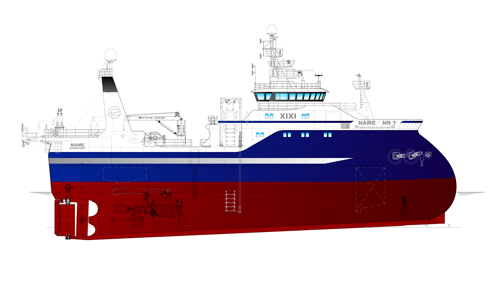 For example, our trawler concepts focus on specific ways to manage the position of the vessels waterline at all times, with highly variable conditions of the vessel during the fishing trips. Not only will this improve the vessel movements, but this is a contributing factor in reducing fuel consumption of the ship. 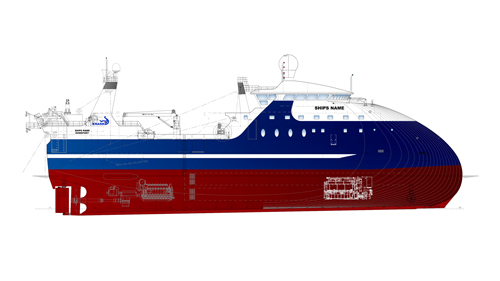 Nautic has recently developed an enlarged bulbous bow concept for fishing vessels, that considerably improves the endurance of the vessel in rough seas. The name “Enduro Bow design” refers to its extreme endurability to withstand rough seas. 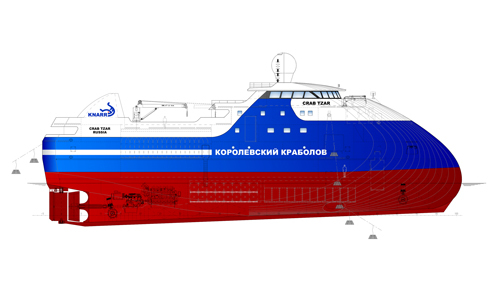 Not only is the concept improvement of the seakeeping ability of the vessel, but has also proven to give much better space utilization of the forward part of the ship. 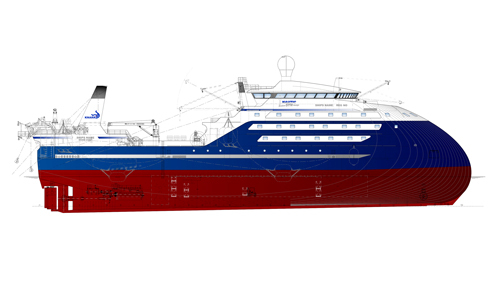 For processing vessels, the Enduro Bow Design gives much better movements of the ship, that again will make the ship a better working place and in the end, improve quality of the processing and the product.